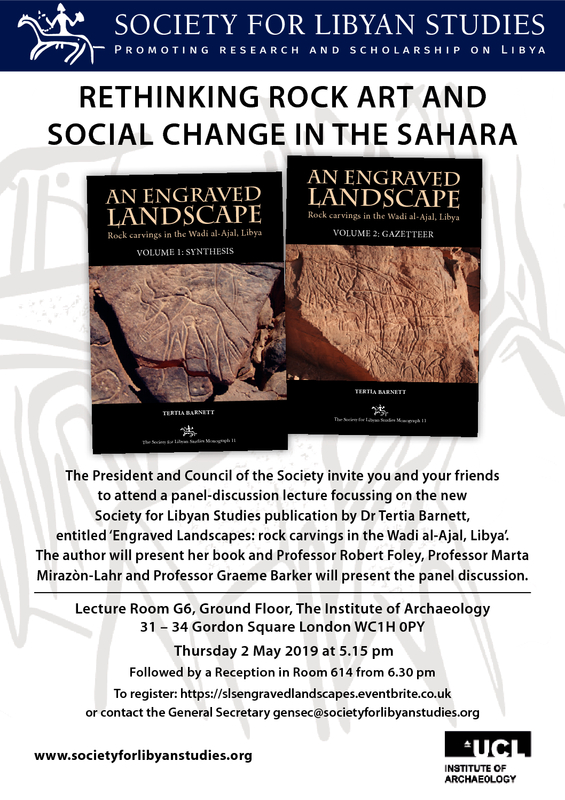 The President and Council of the Society invite you and your friends to attend a panel-discussion lecture focusing on the new Society for Libyan Studies publication by Dr Tertia Barnett, entitled “Engraved Landscapes: Rock Carvings in the Wadi al-Ajal, Libya“. The author will present her book and Professor Robert Foley, Professor Marta Mirazòn-Lahr and Professor Graeme Barker will present the panel discussion. The event will be held at the UCL Institute of Archaeology (Lecture Room G6), Gordon Square, London, on Thursday 2 May 2019 at 5.15 pm and will be followed by a Reception at 6.30 pm. Dr Tertia Barnett is Principal Investigator for the Scotland’s Rock Art Project, funded by the Arts and Humanities Research Council. 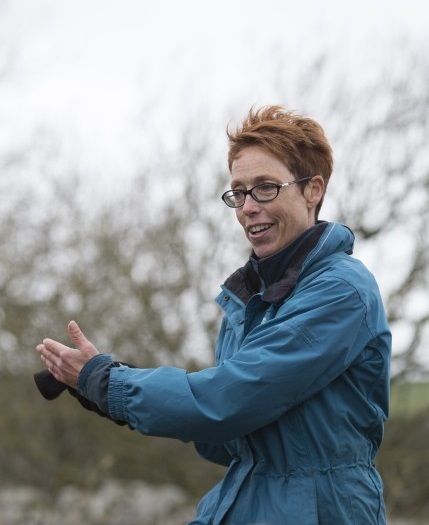 She has a long-standing research interest in rock art, and has run a number of projects on this theme in Britain and North Africa. She has recently published the results of her rock art survey in the Wadi al-Ajal, Libya, between 2004 and 2009, funded by the Society for Libyan Studies and the British Academy.